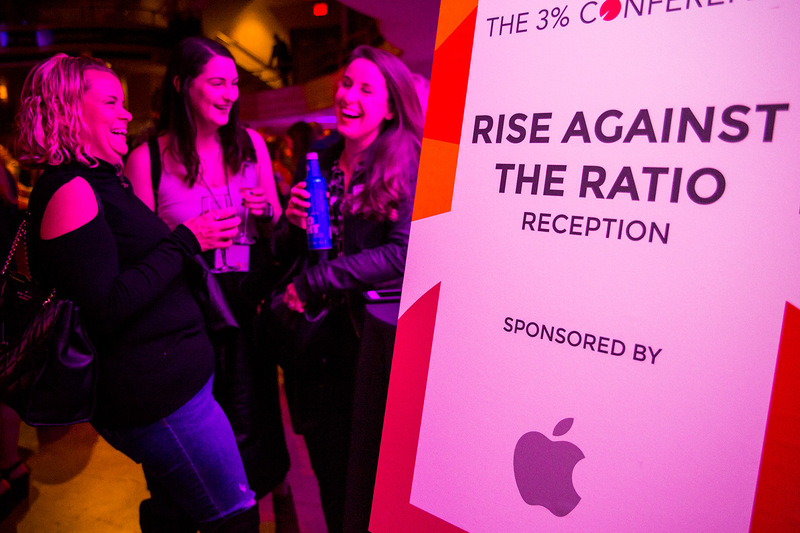 The 3% Conference is not a women’s conference, but a business event about the enormous upside of a making marketing a more gender-equal and diverse industry. Forward-thinking brands and agencies who rally in support of 3% demonstrate leadership around what is widely considered the central issue to the future of the advertising business. We’re creatively driven. One of the benefits of partnering with The 3% Conference is we are first and foremost a group of creative thinkers. Unlike other conferences that are mere logo-fests, we work with each of our top sponsors to create a fully customized experience. 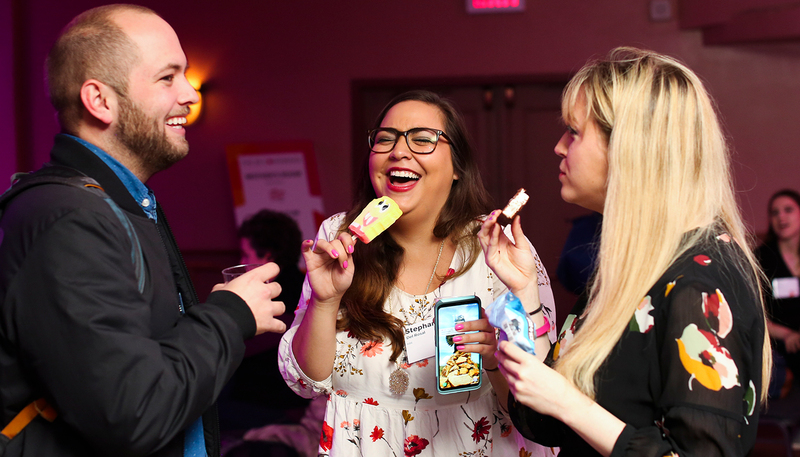 From Apple’s custom-designed Lounge to Adobe’s multi-city student scholarship and portfolio review, we listen first, co-create second, and execute with excellence for a lasting impression on attendees. In six short years, we have the repeat support of virtually all major ad agencies and many top brands. We’re results oriented. A recent Businessweek cover story about the explosion of women’s conferences mentioned The 3% Conference, plus expressed the need for more conferences to do what we already do: engage men (Manbassadors); give attendees marching orders for change (our 100Things microactions), and create accountability (our Certification Program). We’re proud to be an example of a conference that provides so much more than inspiration and is igniting real change. Reach and engage thousands of top creative professionals before, during and beyond the conference. Connect with 1000 heavyweights and rising talent from 75+ agencies and brands from all over the world. Tickets SOLD OUT each year with 80% of attendees rating the conference “Excellent” and 85% indicating they plan to return next year. An eagerly awaited exclusive event, sponsors and speakers rub elbows and network the evening before the conference. Our dedicated PR pro works year-round to keep the 3% mission in the news, citing our sponsors in many pieces as critical to the crusade. Past coverage has appeared in Forbes, Fast Company, Adweek, AdAge, The Globe, The Agency Post, The Wall Street Journal, and many others. Over 8,000 members of the 3% community have opted in to keep updated on 3% news. Our monthly newsletters, which carry sponsor branding in each conference-specific issue, have a 74% open rate. 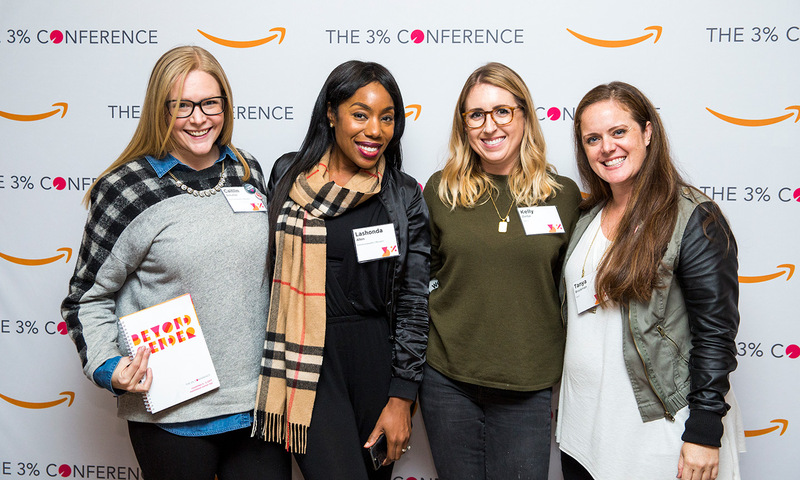 The 3% Conference has more than 6,500 Facebook fans and combined 30,000 Twitter followers (a recent Tweetup generated reach of over 59 million), a YouTube Channel, LinkedIn group, and a weekly blog. We regularly spotlight our sponsors and provide link love to your most important initiatives. 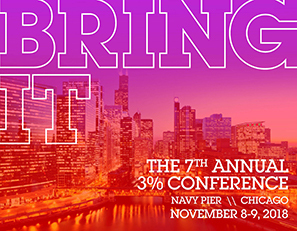 Virtually every session of The 3% Conference is available for viewing year-round on our YouTube Channel, and we produce “3% in a Box” — complete with discussion guides and session recaps to enable companies to share the learnings with colleagues and generate meaningful dialogue after the conference wraps. In 2016, we introduced a new format that our attendees responded favorably to, so we have continued it. The majority of day one is themed tracks where attendees go deep during five-hours of master classes taught by legends in the business. Day two will be TED-style presentations that provide a healthy injection of inspiration from top speakers, authors and thinkers. Every attendee will leave with an understanding of what his/her role is in helping to #changetheratio. We offer creative opportunities for agencies and brands to engage the audience at every level. 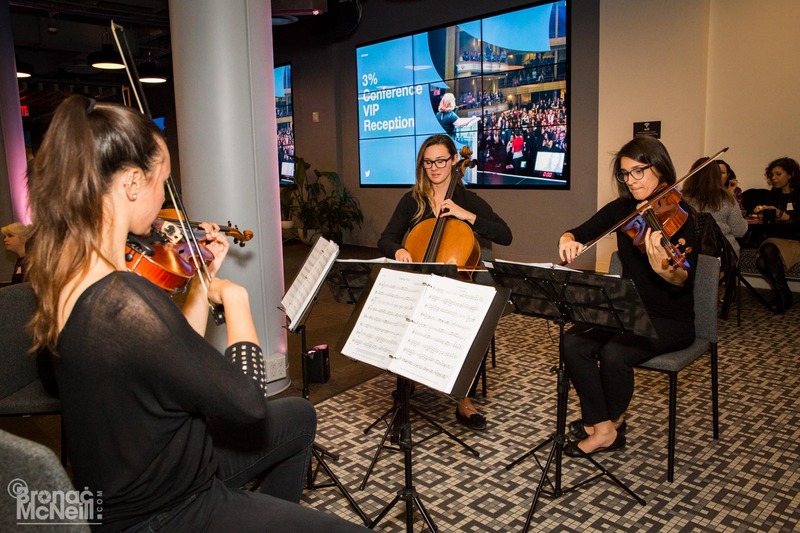 From social takeovers to an inaugural ping-pong tournament, we can meet your needs. To learn more, download the 2018 Sponsor Packet.